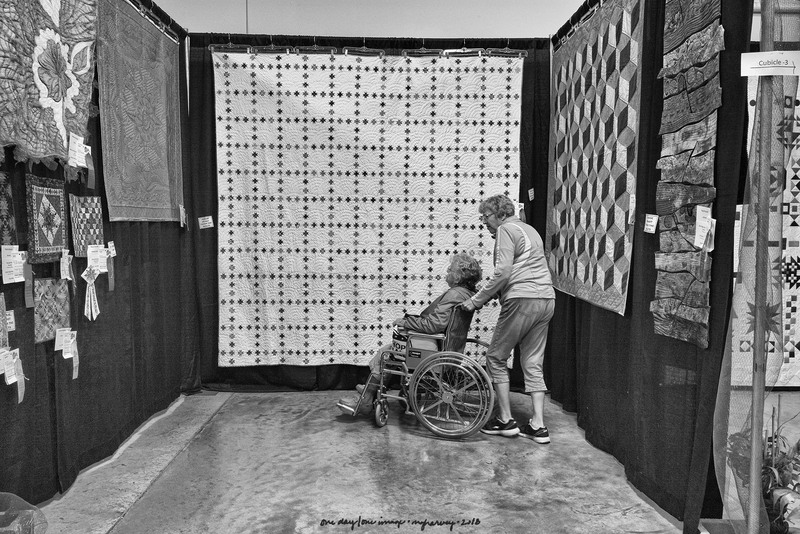 Posted on September 24, 2018, in Photography and tagged 365 photo project, black and white photography, Grand Island, Grand Island Nebraska, learning to see, Leica, melinda green harvey, monochrome, nebraska, Nebraska State Fair, one day one image, photo a day, photography, postaday, quilt, quilt show, road trip, thoughtful seeing, travel photography. Bookmark the permalink. 2 Comments. So true MGH. Quilts,furniture,old tools,old home sites and such. I am a tactile learner, I guess: knowing what something feels like helps me to understand it.